Wash the noodles in running water and drop in boiling water and cook until tender. Remove from heat and wash again in running water. Set aside. Render liempo until golden brown. In the same pan, sauté garlic and onion then add the remaining vegetables. Stir-fry until half-cooked. Set aside. In the same pan, add about 2 cups water, oyster sauce and dissolve cornstarch and cook over moderate heat until the sauce thickens and become translucent. 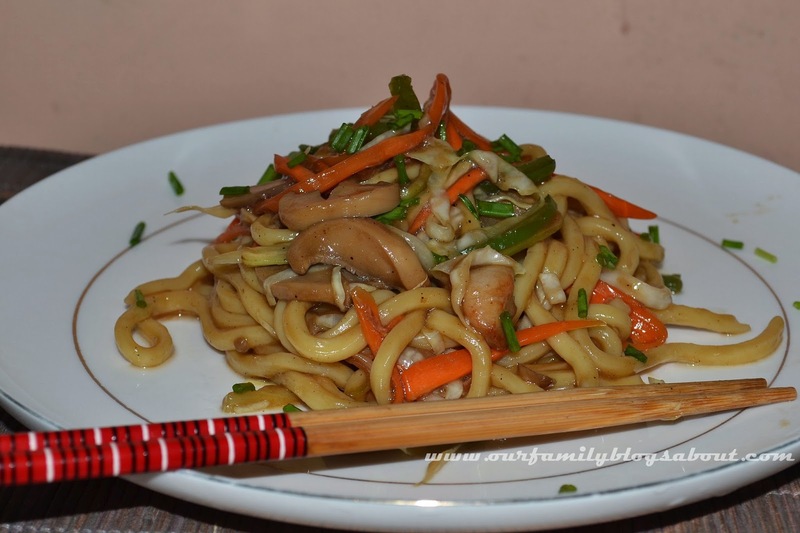 Drop the lomi noddles and vegetables. Stir until coated with sauce. Looks really delicious. I have cooked lomi noodles only with soup but not this way. I would try this recipe, too. I have not really tried cooking any type of pancit except the very simple pancit sardinas. But by the simple prep this dish requires, I might give it a try. Me too, I've never tried lomi na guisado, only soup. Looks interesting! Can I have a plate of that? Pansit is not the same without the Filipino spin into it.